Thanks to Cherry Mobile, we now have an opportunity to check out one of their multimedia feature phones – the Cherry Mobile T20 Touch. It is a dual SIM / standby device with a 3.2” touchscreen and some interesting 3D interface touches. 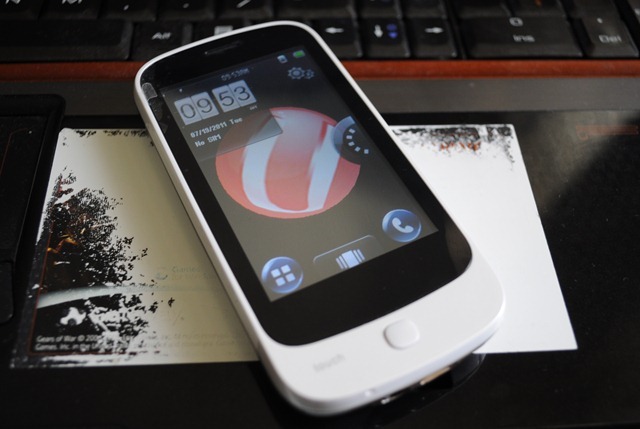 The phone is available right now for PHP 3,599 and comes in white and black. In this video we unbox the phone for you and check out some of the 3D touches of the interface. Check it out after the jump! The interface looks kind of fun, though the resistive screen did need getting used to. Still, for PHP 3.6k, not a bad looking phone. If we get the chance we’ll poke around with it a bit more and hopefully let you know what we think. Until then, thanks for watching! Hi Dave, the keypad is T9 Alphanumeric type, but you can also write down letters with the stylus and the phone will try to determine what letter you just wrote. Still not sure if the speed of typing is fast or slow. If you’re used to capacitive screen typing then it might feel less speedy, but since its T9 you can theoretically type without looking at the screen. We’ll have to let you know about those when we have the chance. We haven’t been able to experiment with the phone too much yet because we’re also reviewing some other gadgets, but we can tell you that it comes preloaded with a few games already. The specs says it supports Java games, but we’re not sure of which kind. We assume that means Jar files are supported, but since we’re not sure of the screen resolution specs, we might not find the right apps for it just yet. Theoretically, they should work. We’ll try to find out more when we have the chance. Can you do an unboxing and review for Cherry Mobile W2. It has TV I believe. Hi Shoshin, if we can get a hold of a unit for sure we’ll do one! Is there any problem that you experienced during the unboxing ?